What’s Up with the Whiskers? So Jason raised the question in response to my last entry, when did the facial hair come about? 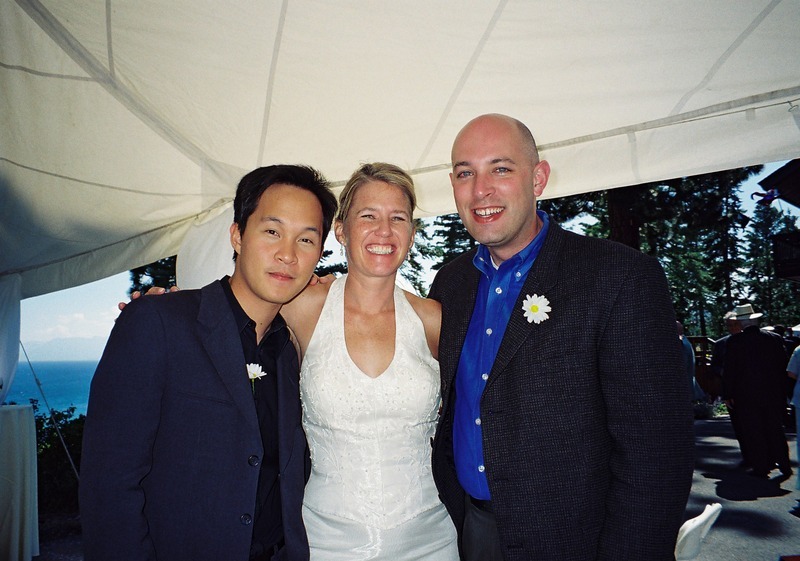 As you can see below, I was not sporting a goatee when Tawn and I first met in 2000. For that matter, I was wearing glasses, too – something else that has changed in the past decade. So when Tawn and I met, I was clean cut. This was not, however, always the case. I’ve had a history of some facial hair going back into the early 90s. An on-and-off sort of history, but a history nonetheless. Below is a picture of me and some university friends (and my faculty advisor!) at the 1993 March on Washington for Lesbian, Gay and Bi Equal Rights. Discussing this with Tawn last night, he pinpointed our short March 2001 trip to Paris as the first time I started growing a goatee. Here’s me on top of Montmartre with the first signs of a goatee. The goatee, however, was not a permanent fixture in those years. I would sometimes shave it off – something that Tawn, who was quite fond of the goatee, took to be an indication that I no longer loved him. For a short while, I shaved off the moustache and had only the lower half of the goatee, a look that was not documented on film. Reviewing older pictures, I’ve tried to determine when I finally made the goatee a permanent part of my look. 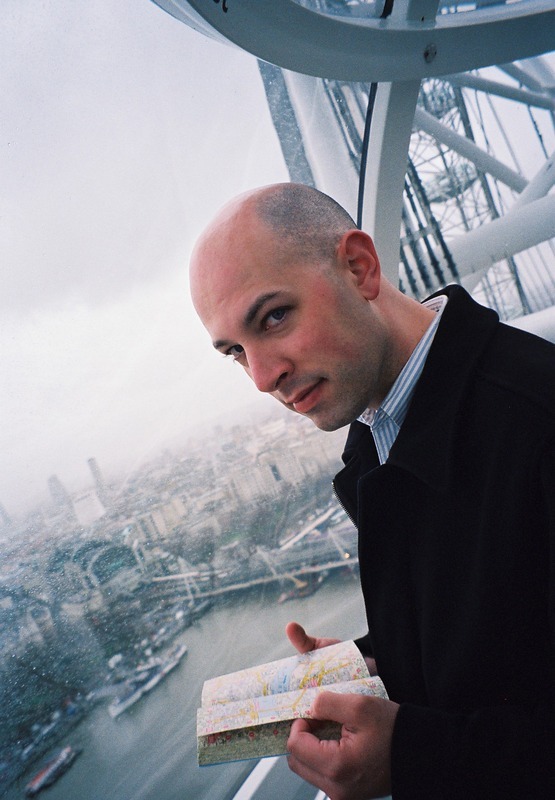 There’s this picture of me on the London Eye, which I think dates from March 2002. No goatee. By January 2003, when we were in Thailand for a visit and flew to Manila for a friend’s wedding, the goatee seems to have become a regular fixture. I don’t see any photos after that date with a clean chin. So that’s the story of the facial hair, Jason. 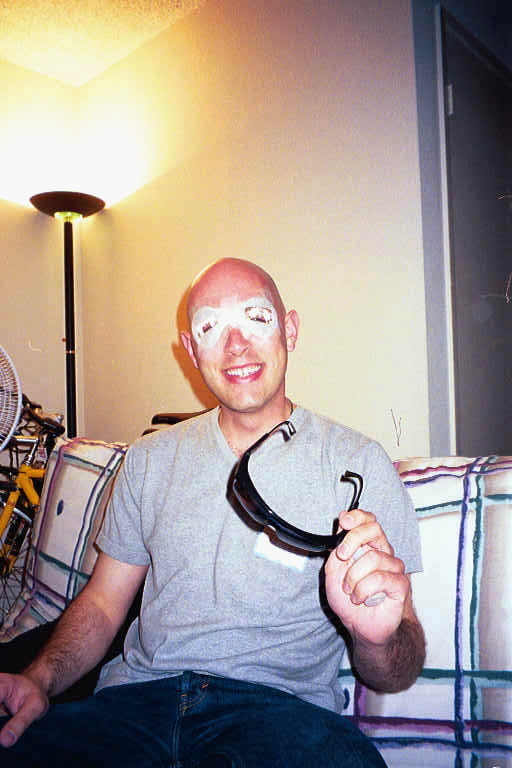 As for the glasses, I had lasik surgery in the summer of 2000. Not for cosmetic reasons (I look better with glasses, I think) but because of the hassle of glasses, especially when playing sports. Here’s a picture a few hours after surgery. Thankfully my friend Lilian gave me a place to stay and drove me to/from the surgery. 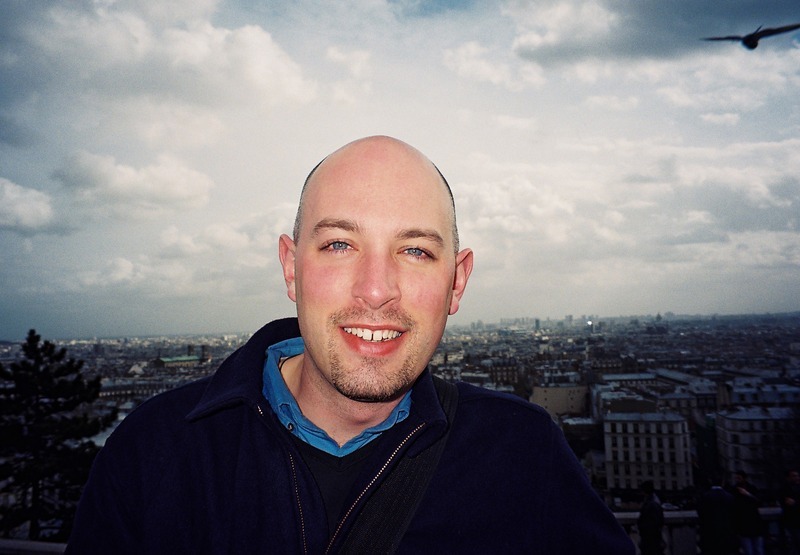 This entry was posted in Uncategorized and tagged Chris, Facial Hair, Goatee by christao408. Bookmark the permalink. I had lasik surgery and I think it was the best decision of my life considering that I’ve been stuck with glasses since 2nd grade. You and Tawn make a cute couple. The pic of you at the London Eye is really attractive. But I think you look MUCH better with the goatee. I love facial hair. My husband has the ever changing beard combination. I think you suit the goatee look too, much better. The picture at London Eye is really well shot; very interesting! facial fuzzies for the win! I tried out a chin-strap sorta thing for a month, but I decided against it. It just didn’t look that good…. and now I am clean-shaven again. I think the goatee looks good on you! Has a become a permanent fixture? Wow, thanks for ‘disclosing’ your 1993 look to us all! That was quite a change since then, I mean for the better of course. 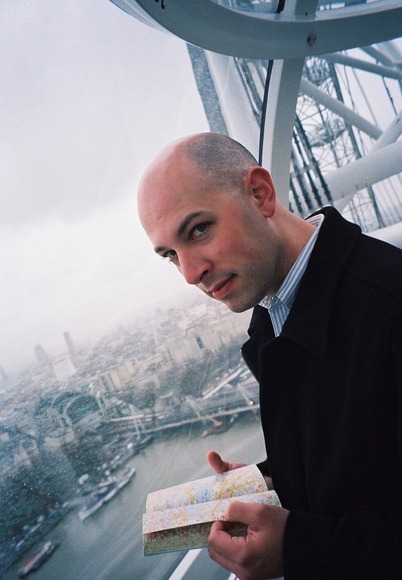 Your photo on the London Eye showed us the more ‘mischievous’ look – ‘Dr. Evil’ side of Chris! @gweirdo – I am considering getting Lasik.Any tips? I’ve thought about getting Lasik in the future, when I have more money but I don’t know…it’s scary ’cause I feel like it’s relatively new. How long was your recovery? I know any kind of surgery is scary but how was it? I used to think along the same lines as Tawn. My partner is usually clean shaven but when he tries to have a goatee or variations of it, I thought that he didn’t love me that much. But now I’ve come to the understanding that it’s his version of “make-up” — different variations of the goatee, different look of the day. Hehehe. @christao408 – I keep forgetting that I went through all the blurry then focus blurry then focus for about a year after the surgery… but its so worth it. My eyes are not complaining… I feel so free without being stuck to my glasses.. The first thing I did was buy a pair of sunglasses. haha… hated those damn clip ons. lol.. I was there in 93, at the March in DC. God, I remember that week there well. I KNOW I have old photos from then too, in a box somewhere. I can’t believe it’s been so long. That was 17 years ago.I have to say, you’re one who is getting more and more attractive the older you get. The current look is a very good one on you; one that you could keep for a long time.I’ve been wearing facial hair lately; mostly a trimmed beard. It makes me look like I’m not 21. The goatee looks good on you. Actually the first thing I caught in this entry was Phuket Air – it’s always interesting finding airlines I’ve never heard of. Aren’t you glad Jason is the curious type? You look like a serial killer with that beard in college! You have beautiful eyes. It’s nice they don’t hide behind glasses. I like facial hair. Looks quite distinguished. When my husband is clean shaving, everyone who does not know us thinks he is much younger than me and I just smile back at them like he is. @styx_site – Nothing wrong with looking like you’re with a younger man! Ha ha…@everyday_yogi – Oh, thank you – that’s very nice to say. As thick as the glasses I used to wear were, I think my eyes were magnified by them! @brooklyn2028 – I put it up there just for you, Sheldon. 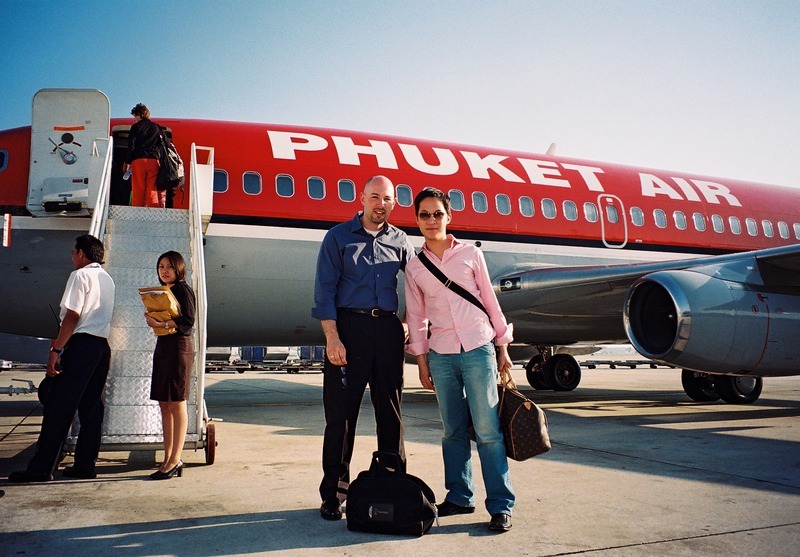 @oldpartner – Um, thanks…@ElusiveWords – Phuket Air – there are all sorts of interesting stories about that airline. Eventually, they were banend by the EU and one of their planes was impounded and repossessed in London (while at the airport readying for a return flight, mind you!) because of outstanding debts. @arenadi – Nice to know you were able to go to the march. Having allies there was very important. In fact, three of the women in the picture with me were straight allies, including my faculty advisor. Thank you for the compliment – I think the particular combination of short hair and short goatee does flatter me, and having an extra pound or two helps fill in the wrinkles! @TheCheshireGrins – Ha ha ha… you’re funny Meg! Not that I would be so cruel with his heart. @gweirdo – How long ago did you have your surgery and have you had any after effects? I feel like my eyes get a bit drier than they used to and after a long day I find myself turning to eyedrops. @bejewel07 – That’s actually a very interesting, and probably accurate, way to look at it. Facial hair is (or can be) a man’s make-up. A way to customize our look. Actually, now that I think about it, that pretty well describes why I would want to occasionally shave it off or grow it into a full beard. @Wangium – Really? My sister thinks I looked like a serial killer. Maybe that’s your taste though… =D@CurryPuffy – I’ve copied all these old scanned photos onto my computer so I’m going to share more of my history. But not too much, mind you. A man must have his secrets. @yang1815 – About every four or five days I pull out the clippers and bring everything back into line. While I’m at it I just continue around the top and sides, too. I used to actually shave my head completely bald every third day or so, but that just eats through the razor cartridges too quickly and those things are pricey! by the way on a completely different topic altogether the pic of you with Tawn in front of the airplane just goes to show that guys can look hot in pink. I love guys that are man enough to wear pink. You look good any way Chris. With the goatee, and without it. You could wear a dinner jacket or a gunny sack, you would stand out most distinctively. SO there!And yeah!! What the heck is with this line ” loves me loves me not!” ? You played with Tawn’s feelings?? I need to hear all about that buddy. Facial hair is about the only vanity guys in our culture get to express – back here in the US anyway. Of course there in Thailand the ka-tooeys express all kinds of vanity without any facial hair. @christao408 – Electric clippers don’t do a good job shaving eh? @gweirdo – It is an interesting cultural thing, I think. Here in Thailand, men (gay and straight) wear pink shirts, yellow shirts, whatever color shirts without any consideration of what it “means” about their masculinity. I think the west’s equating of pink with femininity is a disservice to the color pink and short-changes a lot of men who would look good in the color. @ZSA_MD – At the time I didn’t realize he took my shaving off of the goatee seriously. @yang1815 – They do a fine job; that’s what I use. Did I mis-communicate? But if I want a completely clean shave I have to use a razor. @Gunner_Poole – True, although I don’t think they would necessarily self-identify as “guys”. I LOVE goatee’s, who invented the word goatee its funny because billy goats have much longer beards. Anyway wish my other half would grow one too, but i believe his grows red for some strange reason thats not even his own hair colour. @christao408 – How often do you have to replace the electric razors?! I thought they’d last forever haha. @yang1815 – What are you talking about, Andy? If I shave my head bald using the little March III razor cartridges, those need to be replaced and quite frequently because a head full of hear dulls the blades. If I’m just trimming/buzzing the hair and goatee, I use a hand-held pair of clippers. The blades last much longer on those. @mmaaaaa – There used to be some red in my goatee, too, which comes from my maternal grandmother’s side of the family. Most of those red hairs are now grey! @lcfu – Travel or lasik – tough decision! @christao408 – Ah sorry I was talking about the electric clippers.